SSC CGL 2017: Examinations conducted by the Staff Selection Commission (SSC) are ranked high in importance among job seekers across the country. 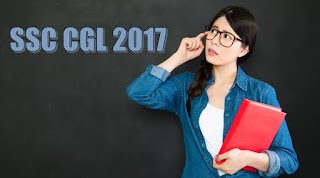 About 15 lakh aspirants appear for the Combined Graduate Level (CGL) exam conducted by the SSC and this year, the commission announced the it received 30,26,598 online applications for the SSC CGL tier 1 exam. The best way to revise is by using time you have to go through all topics and not get stuck on a few topics. Students should be aware of their strengths and weaknesses. Sharpen your strong areas to fetch more marks but do not ignore the subjects that you find more difficult. Revise General Studies as much as possible because it is very wide in its scope. If you havenotes written down in different notebooks and scattered, gather all this and read through them as you sort them in a more compact location and keep the important topics highlighted. Preparing short notes while revising will help you during the last few days before the exam. As the SSC-CGL examination is online, practice online mock tests as these will let you experience an environment similar to the real paper. Analyse the mock tests that you try and check your scores in the different subjects/topics. Prepare a strategy to score well according to your analysis. This will definitely help you in increasing your accuracy and speed. Do not be afraid to ask help from your teachers or experienced persons for help in case you find some topic difficult. If you are facing difficulties in solving particular questions, asking questions regarding these topics will not only solve the questions you are attempting, but may also help you understand certain topics that you could not before. It is important to spend time on preparation for the exam in these last days. However it is just as important to take care of your physical and mental health. Take breaks between preparation, eat healthy and catch enough sleep. A healthy mind and body are as important in contributing to your performance during the exam as your preparation.